Another week has come an gone, which means it’s time again for Big Easy Magazine’s Progressive Weekend events! This week, we’re focusing on all of the ways that you can get out and support your community – through film festivals, food drives, teaching events and more. 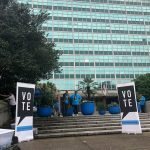 VOTE Community Teach-In – 5 p.m. to 7 p.m.
Those who have formerly been incarcerated, particularly those who are on parole or probation, face a lot of challenges when it comes to being a full participant in society again. Tonight, VOTE will hold a community teaching event on the new Ban the Box ordinance, which seeks to prevent landlords from discriminating against formerly incarcerated people. 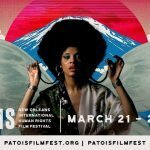 Patois New Orleans International Human Rights Film Festival – 6:30 p.m. to 11:45 p.m.
Tonight begins the 15th annual Patois International Film Festival at the Broad Theater. This year’s fest features both documentary and fiction film screenings and premieres and in-depth discussions from community leaders, activists, artists, and more. Local filmmakers join international artists from Senegal and Zambia, Syria, Greece, Turkey, and other areas of the United States in showcasing films about issues such as immigration, violence by law enforcement, gay refugees, and transgender liberation. You can read more here. 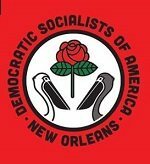 Socialist Feminist Potluck Dinner – 6:30 p.m. to 8:30 p.m.
Bring a dish or drinks to share and join the Democratic Socialists of America New Orleans for a potluck dinner. Everyone is welcome and the building is wheelchair accessible. Come out and talk with the feminist organizers and help plan future events. 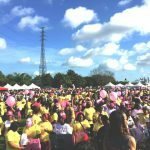 Cracker Barrel Sista Strut New Orleans – 8 a.m. to 12 p.m.
Did you know that African American women in the U.S. have a 41 percent higher death rate from breast cancer than white women? The Sista Strut hopes to heighten awareness of this and other issues of breast cancer in women of color. Come out to Woldenberg Riverfront Park and learn more. Quirky Citizens Alliance Meeting – 1 p.m. to 3 p.m. 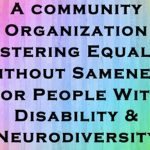 The QCA is a group dedicated to “fostering equality without sameness for people with Disability and Neurodiversity.” Come out to CC’s on Esplanade to hang out with this wonderful group of people and learn how you can help foster equality in your neighborhood. BES Bingo! 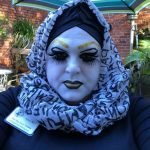 – 6:00 p.m. to 9:00 p.m.
Join the Big Easy Sisters for their bi-monthly bingo event being held at The Phoenix on Elysian Fields Ave! There will be drink specials and prizes, with all proceeds from the event going to benefit local charity organizations. Cemetery Clean Up – 9:30 a.m. to 1:00 p.m.
Save Our Cemeteries is hosting a volunteer clean-up day in Carrollton Cemetery No. 1. 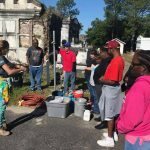 Supplies will be provided – come out and help pick up trash, pull weeds, and clean tombs to ensure that New Orleans cemeteries remain beautiful places of rest. Food Drive at Finns – 10:00 a.m. to 1:00 p.m.
More than one in six households in Louisiana are food insecure. 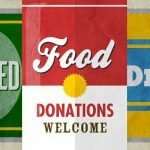 You can help by bringing some non-perishable food items to Finn’s – they will be delivering all donations to the Second Harvest Food Bank serving the Greater New Orleans area. Support the Pels and Save the Pets – 6:00 p.m. to 8:00 p.m.
Come out and cheer on the Pelicans at their home game against the Rockets while supporting the North Shore Pet Adoption Alliance as well!